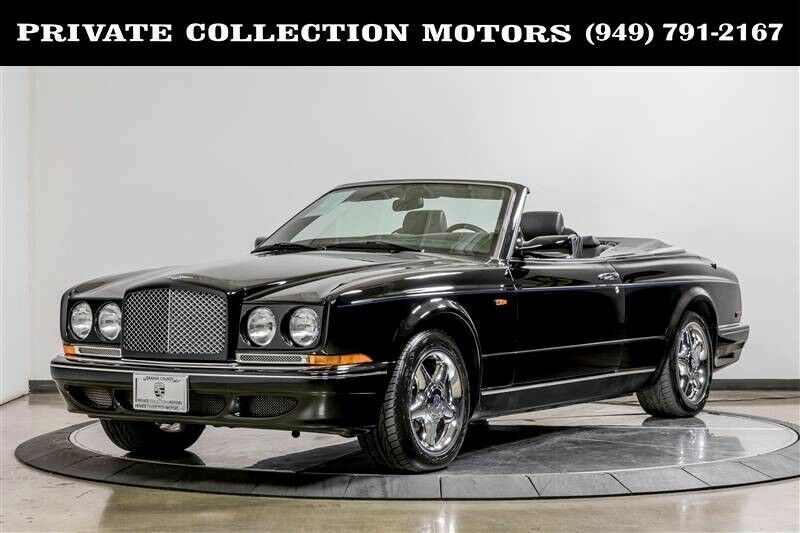 Private Collection Motors is PROUD to offer you this SUPER RARE 1999 Bentley Azure Mulliner Widebody for sale! This Bentley Azure is among the GRANDEST convertibles. The base convertible started at $347,645 and it was available with the Mulliner Wide Body Specification from 1999 to 2002. Considering this is the Wide Body it was over $400,000 NEW!!!!!!! This Bentley Azure has always been kept in a climate/humidity controlled facility. This is a CARFAX CERTIFIED CAR!!! It has only 25,000 SUPER LOW MILES. Let our 100% eBay feedback speak for our cars and sales staff. We can help arrange shipping to anywhere in the US. We welcome pre purchase inspections and trade ins too. For more information please contact us at 949-791-2167. We look forward to hearing from you.